Siobhan plays both an electric fiddle and picked up acoustic (her great grandmother's violin from Dundee, Scotland), having been classically trained in the piano and viola. She also 'calls' the ceilidh dances. Prior to starting The Hoggies, Siobhan played with the Bruocsella Symphony Orchestra and toured China with them in 2010/11. Siobhan works as a senior competition and tech lawyer at a leading global law firm in Brussels, and has a Masters in European Business Law. John plays a 96-bass Hohner accordion, having taught himself the instrument a couple of years ago. He learned piano, recorder, crumhorn (a medieval instrument shaped like a walking stick), clarinet, bass clarinet and percussion while at school in England and has played and sung in many bands, orchestras and choirs since then. He is the director of the International Chorale of Brussels and plays percussion with the Bruocsella Symphony Orchestra. By day he is a senior IT manager in an international chemical company. Chris plays a custom-made Christian Hedwitschak bodhran, and learned percussion and drums previously. He also plays bass guitar, and 'calls' the ceilidh dances in French. Chris provides technical support for the band during each Hoggies performance. He is also involved with the Bruocsella Symphony Orchestra from a technical support perspective and assisted with the China tour 2010/11 and each year with the BSO Children's Concerts. Chris works as a professional photographer and an independent IT contractor. Jim plays an electro-acoustic guitar and has a special interest in celtic music. Jim has played cello, mandolin, piano, bagpipes and the tin whistle. Jim is currently a private training consultant in financial use of statistics, and holds degrees in maths and an MBA. He was formerly a maths teacher. 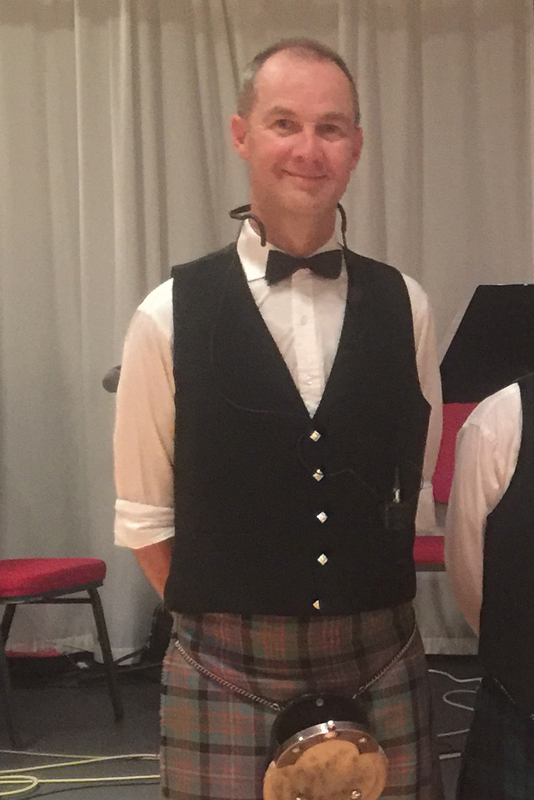 Gavin calls the dances in different languages and makes sure all of our dancers are well trained to dance along with the ceilidh music! Gavin runs a successful marketing company in Brussels and so is also our main man for marketing! 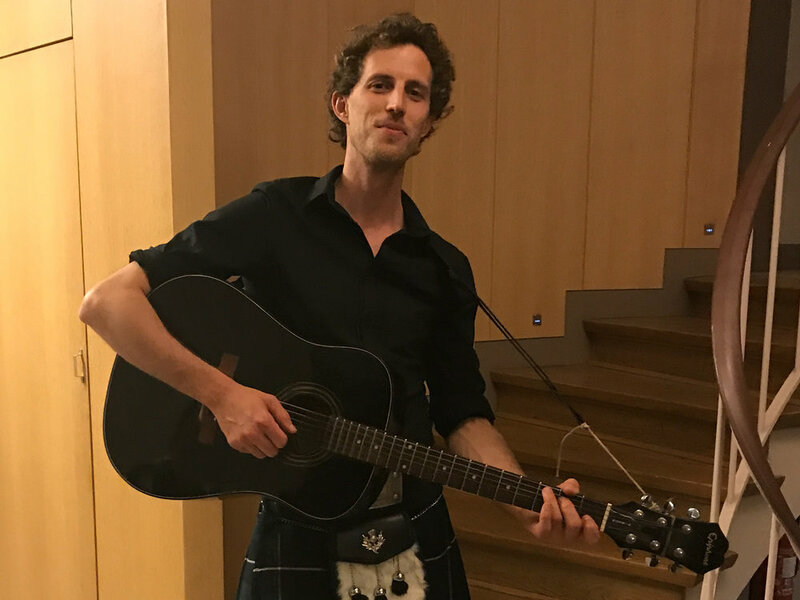 Hailing from Scotland, Gavin is also the famous Scottish voice from the William Lawsons 'No rules Great Scotch' whisky adverts! 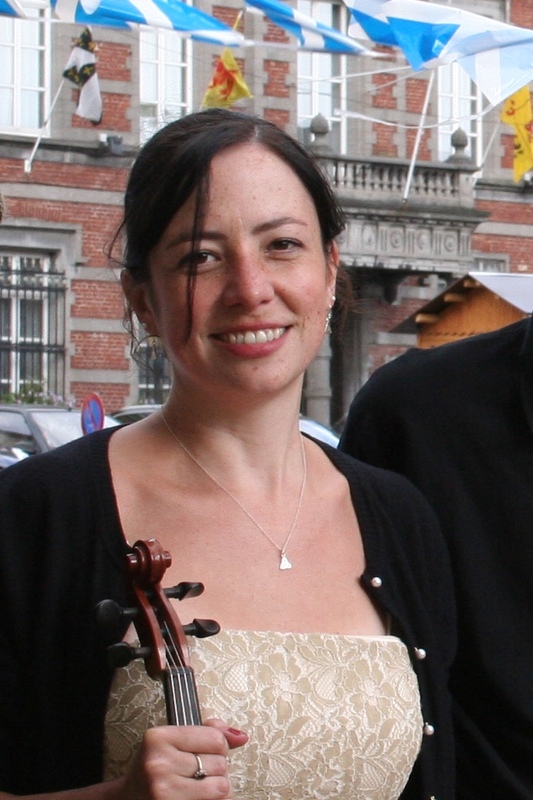 B plays an acoustic violin with a pickup and was initially trained as a classical violin and viola player and holds several music degrees from the Brussels Conservatoire Royal de Musique. She played with a number of orchestral and chamber music ensembles, both professional and amateurs in i.a. Belgium, France, Denmark, Sweden, Italy, Portugal, Germany and China. She was a founding member of the Bruocsella Symphony Orchestra and has played with them for many years. Bénédicte (that's her real name, she just finds it a bit long) is a lawyer specialized in international affairs / competition law and works for the European Commission. Kate plays an accoustic violin with a pickup, having been classically trained for 12 years at a music school. She holds a diploma as a musician instrumentalist and also plays the saxophone. Kate played with the Bruocsella Symphony Orchestra and toured China with them in 2010/11. She holds a PhD in the area of IT and currently works as an IT process manager and agile trainer for a major telecoms company. Martin plays acoustic guitar. He's a self-taught guitarist and has interest in jazz, folk, gypsy and most of all improvized music. He's currently working as a clinical psychologist. He is also a Lindy-Hop enthusiast and loves to Ceilidh dance too. Maren plays recorder and tin whistle. She completed her master studies in Early Music at the Lemmensinstitute in Leuven and plays in various ensembles, e.g. the multi-instrumental ensemble for renaissance and folk music The Viol Society (www.theviolsociety.be). Besides her music studies she is also an elementary school teacher in Austria and gives private lessons in recorder.